Genuine Translations is a business dedicated to helping other businesses expand internationally. We do this by removing all linguistic and cultural barriers, whether it is translating exporting documentation, localising your website into other languages, or interpreting your message over the phone. We are more than just a translation agency, we are your language partner in your business journey to growth. Please browse our website or contact hello@genuinetranslations.co.uk for more information on how we can help you. 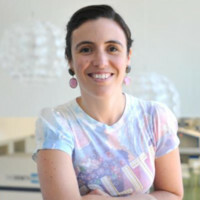 Eva Túnez Salvador founded Genuine Translations in 2014. She holds a degree in Translation and Interpreting, she is a sworn translator appointed by the Spanish Ministry of Foreign Affairs, a member of the Chartered Institute of Linguists and the Institute of Export and International Trade, and she has a background in management. She is also a Business Navigator at the Cirencester Growth Hub, and helps local businesses achieve their growth plans. Eva works closely with a team of linguists that cover different specialisations and languages. All linguists at Genuine Translations are qualified professionals with over 3 years of experience in their field and are native speakers of the language they translate into. We are committed to delivering a high level of service and quality, which is why linguists are carefully selected for each assignment, have signed a confidentiality agreement and their work is thoroughly checked.